If you live in Thornhill and you are in a conundrum because you really need a nanny, but it seems that all the good nannies have been scooped up by all of your friends and neighbors, do not worry because "Nanny Thornhill" is the best place to source out that perfect nanny for your family. When you live in a place like Thornhill, people are warm and friendly and as a smaller community people tend to meet and socialize in each other’s homes. When friends visit friends, they get to know each other’s families and that often includes their nanny. Seeing a nanny living with her employer family helping that family to run smoothly is a pleasure. If you have very young children and no caregiver to help you, you probably spend a lot of time in one of Thornhill’s beautiful parks or recreation areas trying to entertain your young children, this is a great way for you to see many of the nannies working in your area of Thornhill and experience the amazing care and support a well-trained and professional nanny offers. Just by watching the nannies interacting with their children you can see what a value employing a nanny has and what a great job most of those nannies perform. Having a nanny or caregiver will not only make your Thornhill lifestyle run smoother and enable you to be more organized, your children will benefit greatly from having a nanny. A professional nanny will find interesting and creative games and activities to keep your children active and away from just sitting in front of the television! 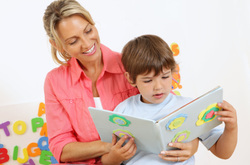 Many of the nannies that can be found at "Nanny Thornhill" have unique qualifications and specializations that are listed with their personal and experience information. Perhaps you are looking for a nanny / caregiver that will work with your special needs child, through "Nanny Thornhill" you can search for a nanny that has either special training or experience or both! Peace of mind is one the first things you will get from "Nanny Thornhill", working with you to find a nanny that will fit perfectly into your life in Thornhill is as important to you as it is to the nanny looking for a nanny job. All the nannies and caregivers that are listed on "Nanny Thornhill" have to meet certain minimum requirements, they must have at least 2 -3 years of successful experience as a nanny, they must have up- to-date reliable references, they must have all the appropriate Canadian government entry documents, all the required medical certificates and they must want to work in Thornhill! The nannies on this site are specifically looking for employment in Thornhill with families who are looking for either live in nannies, part-time nannies or even situations for shared nannies! Thornhill has a large population of nannies that have developed communication and social networks of their own. Many of these nannies will become friends and often go to the same churches and social events and often begin to form bonds and relationships with each other that will make any new Thornhill nanny feel much more at home very quickly. On a professional basis, many of the Thornhill nannies share information about activities, events, special children’s performances and other sources of entertainment. Very often nannies in Thornhill are looking after children whose friends and school mates have nannies who have themselves become friends, this leads to great opportunities for joint entertainment outings and group fun! Being a nanny in Thornhill offers some great advantages, there is a public transportation system, fantastic shopping malls, great theaters and movie complexes, huge entertainment parks, a selection of houses of worship and Thornhill is close enough to Toronto to visit! There are also large public libraries, community centers and schools that offer hundreds of different educational and interest courses that are free or very low cost. As an employer family living in Thornhill you will be able to offer your nanny so many things and in turn she will be able to offer your children a wide variety of activities also. Once again with the help of "Nanny Thornhill", you have had the best assistance in finding that perfect nanny for you and your family, after all, you want to know that your child is safe and in great hands and having a wonderful time.